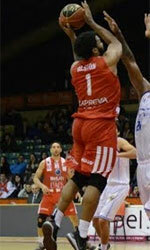 Los Leones de Quilpue (Libcentro) inked 27-year old American forward Stanley Robinson (206-100kg-88, college: Connecticut, agency: HMS). He has played for the last two years at Moncton Miracles in Canadian NBL. In 32 NBL Canada games he averaged 12.8ppg, 7.0rpg and 1.0apg last season. The previous (13-14) season Robinson played also at Moncton Miracles (NBL Canada) in Canadian NBL Canada. In 28 games he had 15.0ppg, 8.1rpg, 1.3apg and 1.0spg in 2013-14 season. 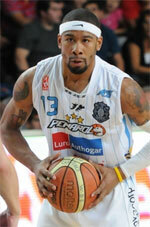 In 2010 he was drafted by Orlando Magic (NBA) in second round (59th overall). The former University of Connecticut standoutis in his sixth season in pro basketball. Among other achievements he won D-League championship title in 2011. Robinson received also USBasket.com All-NBL Canada Honorable Mention award in 2014. He has played also professionally for other D-League teams like Rio Grande Valley Vipers and Iowa Energy. Premier level athlete, almost to the point of intimidation ... Jaw dropping length and vertical leap off of two feet ... Explosive finisher around the rim, with a multitude of thunderous jams ... If he has space to get his legs underneath him, just get out of the way.